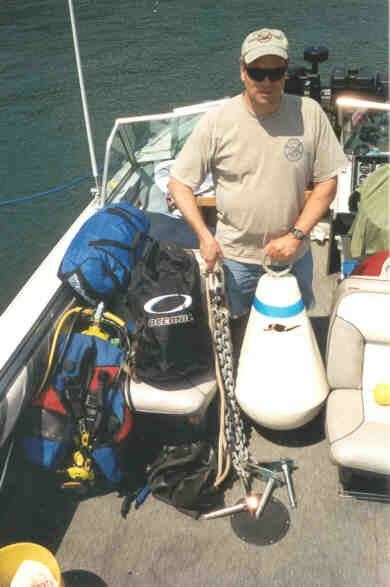 Phil Kerber, wearing a GLSPS ELY T-shirt (top left) holds new ELY buoy, mooring chains and 10-inch bolts that were fastened to a large rock on the bottom near the shipwreck. The mooring will help prevent damage to the ship by eliminating the need of anchors. Diamond tipped drill bits, donated by the late Jerry Provost, were used to drill the holes in the rock for the bolt holding system. 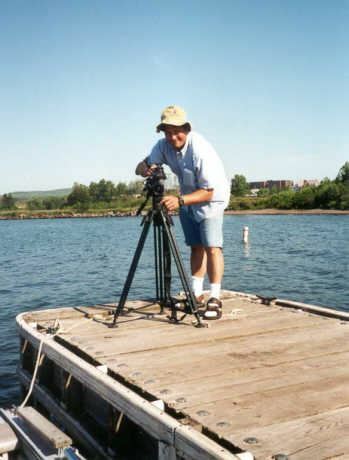 This summer we continued our quest to preserve the Samuel P. Ely at Two Harbors. Our spring surveying of the wreck showed the preservation efforts so far are holding and no immediate stabilization repairs were needed. 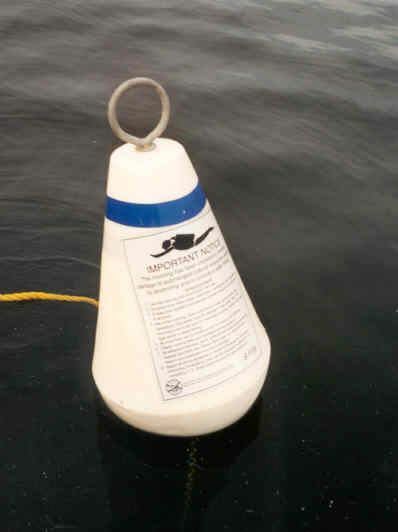 Hence, our primary goals for the summer were to install a shipwreck buoy at the site and begin current documentation. After years of trying to place a shipwreck mooring buoy at the Ely by placing a concrete block at the site for a mooring anchor we finally succeeded to place a buoy by bolting a chain system to the lake bottom to secure the mooring line to. The 1-inch diamond tipped drill bits donated to GLSPS by the late Jerry Provost were used to drill holes into the rock lake bottom. 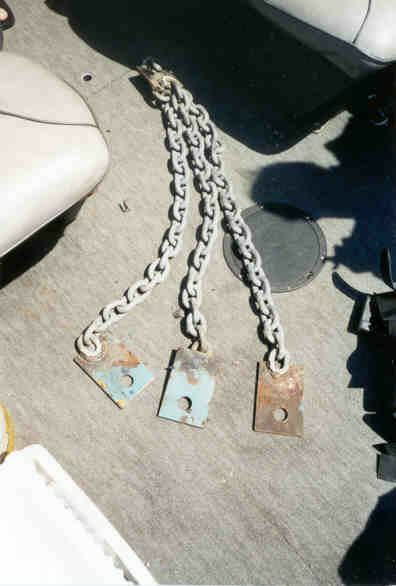 Then three 1-inch bolts were fastened into the holes to secure a mooring chain anchoring system to the lake bottom. 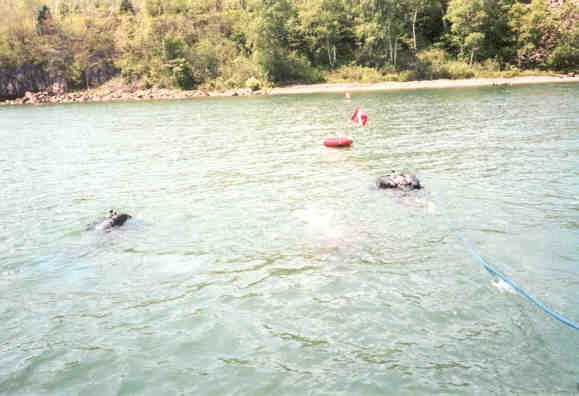 The weekend of July 13th and 14th five GLSPS divers drilled the holes in the lake bottom and installed a shipwreck buoy for boats to tie to while diving the Ely. We hope all boats that want to position themselves over the shipwreck will use this mooring and not drop anchors on the shipwreck. The Ely documentation got off to grand start with the help of David Cooper, a noted Underwater Archaeologists and Steve Daniel, author and artist for the book S.S America, A Divers Vision of the Past, giving a 2-day shipwreck documentation class at the Ely site. The divers who attended were Ken Knutson, Bob Olson, Bob Nelson, Byron Meyer, Randy Beebe, and Jay Cole who recorded the class activities with his video camera. A large part of the class efforts were hands on documentation methods and drawing, and the excellent ideas and drawings done by the class participants made will be used in the final documentation report. See the detailed report in this newsletter. For more information and wanting to help contact Bob Nelson at 651-426-1159 or through our web site at bnelson@GLSPS.org. Jay Cole readies his camera to prepare to film the GLSPS activity underwater. Jay interviewed the GLSPS crew on the surface, then descended underwater to film the process of drilling, fastening the chain plates with bolts and tethering the buoy to the mooring chains. Steve Daniel gets ready to descend to take his turn drilling holes in the rock. 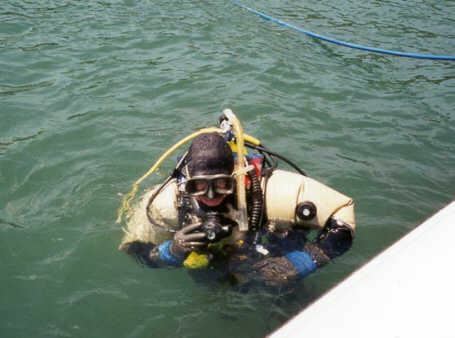 A pneumatic grinder with a lead weight belt draped on top, held the 12-inch diamond tipped drill in place while the divers did the drilling. The location of the buoy near the breakwater. The ship is located off the second piling plate semi-circle. 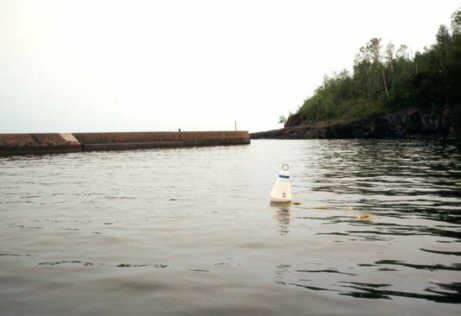 The floating line has a loop that may be used to moor a boat temporarily to the line while divers descend below to explore the 106-year old shipwreck in Agate Bay near the iron ore loading docks at Two Harbors. The new buoy shows a label cautioning visitors to be certified divers and to use appropriate safety precautions and diver etiquette when diving the shipwreck. The label also identifies the shipwreck below as the S.P. ELY.